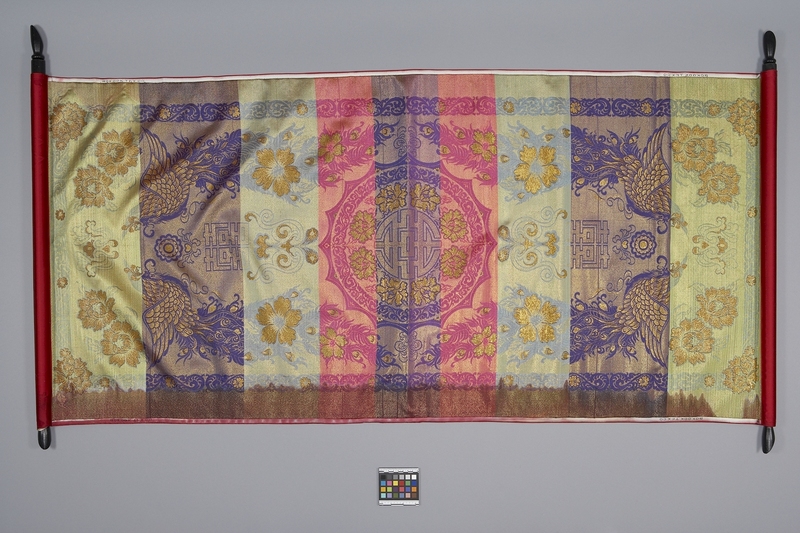 Item number 376/11 a from the MOA: University of British Columbia. Red silk hanging with gold embroidery on a black bamboo roller frame. In the centre is a large character surrounded by floral motifs and a scalloped border. 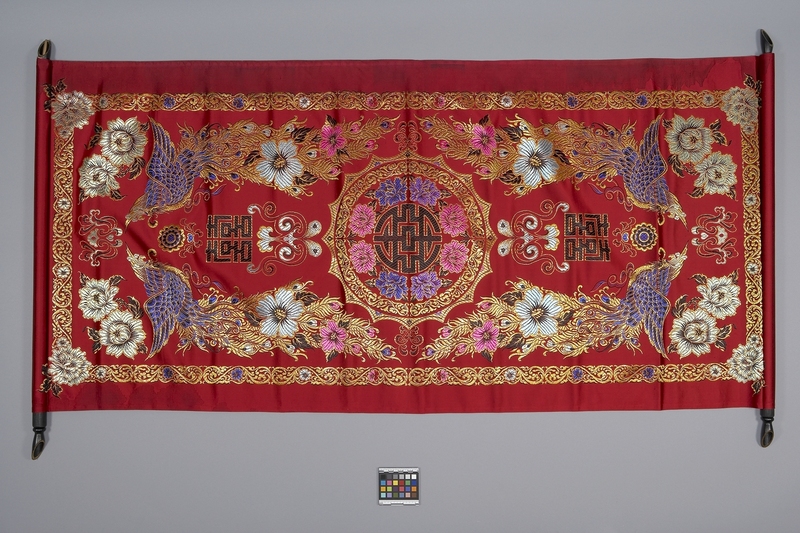 Other motifs include peacock, floral and characters accented with turquoise, blue, purple and pink. There is a gold tendril border around the edges with peony motifs in the corners. The backside is unlined.